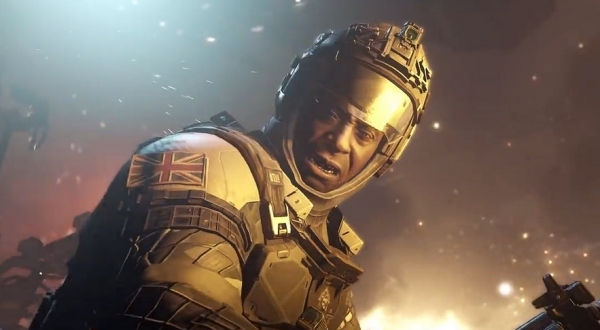 Activision and Infinity Ward's latest entry in the Call of Duty series is called Infinite Warfare, and gamers are not too happy about it. Infinity Ward's design director ran to the game's defense following a less-than-stellar reception to the game's announcement. The approach that we've been taking with this game... the inspirations don't come from sci-fi or space in any way, […] The inspirations come from war stories. This is Call of Duty. We are talking about warfare and in this case Infinite Warfare... what we feel is that classically told narratives can take place in any setting. While Jacob Minkoff may be trying to run damage control for the poor reception of Call of Duty: Infinite Warfare's debut trailer, that doesn't really change how gamers feel about it. The YouTube announcement trailer has 4.6 million views after debuting yesterday, and it has a near equal amount of downvotes as it does upvotes; 132,000 upvotes versus 126,000 downvotes, as of the writing of this article. The general sentiment is that a lot of gamers joke that they must have accidentally clicked on a Halo trailer instead of a Call of Duty trailer. While Jacob Minkoff's point is that this next entry in the long-running shooter series will be grounded in some kind of military drama and tension, the reality is that gamers are still seeing another derivative sci-fi shooter on the horizon. It's also hard to deny that the inspirations don't come from sci-fi when we get an entire third of the trailer dedicated to players flying around in space in a spaceship firing lasers and fighting robots big enough to flip over tanks. If Jacob Minkoff was trying to convince gamers that there's a serious story to be told in this upcoming outing of Call of Duty: Infinite Warfare, it was utterly lost in all of the actual sci-fi elements on display in the trailer itself. And really, when gamers have to go by what Minkoff is saying or what Activision is showing, it appears most people are reacting to what they've been shown. Now this isn't to say that Call of Duty: Infinite Warfare will be bad. Just because people aren't keen on the trailer and have become fatigued on sci-fi shooters as of late – we've had Call of Duty: Advanced Warfare, Halo 5, Call of Duty: Black Ops 3, Destiny, Titanfall, Evolve, Ghost In The Shell and Star Wars: Battlefront all released in the last two years. This doesn't necessarily mean that this upcoming game will be bad. In fact, it might be the opposite. Call of Duty: Black Ops 3 really took me by surprise, having one of the most mature and thought-provoking stories in movies and games that I've seen in quite some time. The writers really knocked it out of the park with that one, in spite of the heavy reliance on a science fiction theme. Ultimately Infinity Ward will have to prove that Call of Duty: Infinite Warfare doesn't deserve the ire its currently getting by showcasing some gameplay and some of those story elements to make gamers care. We'll likely get to see some real-time footage at this year's E3 during Sony's press conference. Call of Duty: Infinite Warfare is due out on November 4th, 2016 later this year along with a remastered version of Call of Duty 4: Modern Warfare for the PS4, Xbox One and PC.